Plastic surgery is the most meticulous field of surgery. Attention to detail throughout the entire process is necessary to achieve a perfect result. But how should you select a plastic surgeon? First, you must be convinced of his or her talent as a surgeon. Your surgeon must be well trained and be respected in the community by other patients and doctors. Additionally, your surgeon should have a LONG history of happy, satisfied patients who have had the same procedure that you are interested in. You should be able to clearly visualize through actual patient photographs the result that you can expect to receive. You want a surgeon that not only has a good "bedside manner”, but someone who has always been at the "top of the class". All this should be determined by the resum’e and during your consultation with the surgeon. Second, pay attention to the details of the office. The office staff and style is directly influenced by the surgeon. Examine the phone contact and printed material you receive. Are your questions being answered with experience and knowledge? Does the office have the ability to provide you with other necessary services, such as skin care, to assure your result is the best possible? Will the plastic surgeon be performing the entire surgery, or will nurses or assistants be doing part of the work? Will the surgery be performed in an accredited, fully certified surgery center? Before undergoing any surgery, you must know exactly what the procedure is that will benefit you most, how it is performed, what the risks might be, what the recovery period is like, and what the costs are. Third, follow your intuition. Trust and communication with your plastic surgeon is absolutely essential for success. 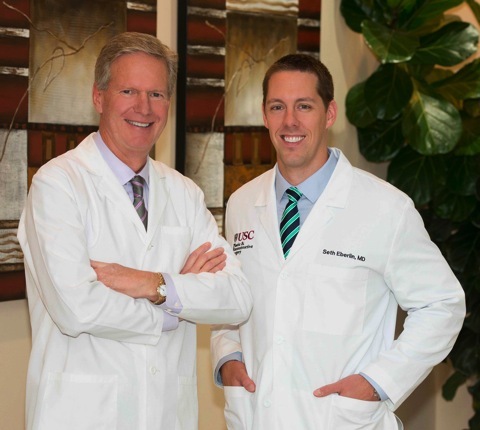 You may find that Dr. Prescott or his associate, Dr. Eberlin, is your best choice. Please click this link to read our online Internet/Yelp Reviews! 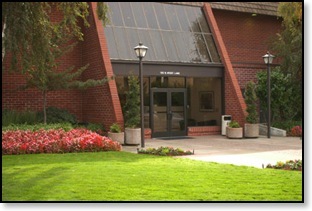 We are located in the Shadelands Medical Plaza, located at 100 N. Wiget Lane in Walnut Creek, on the corner of Ygnacio Valley Blvd and Wiget Lane. We are open Monday through Thursday 9 a.m. until 6 p.m. and Fridays from 8 a.m. until noon. Dr. Prescott operates all day Tuesdays, Wednesdays, and Thursdays. The fee for a cosmetic consultation with either Dr. Prescott or Dr. Eberlin is $50. They will spend the time to understand your needs and desires, and review your medical history and determine if you are a good candidate for cosmetic surgery. If appropriate, they will utilize computer imaging to show you your potential results, and clearly explain any risks and benefits associated with surgery. If you decide to undergo surgery, the $50 is deducted from the total cost, so the consultation is then “free”. If you are considering surgery costing thousands of dollars, this $50 consultation will be the best money you will spend. (Click here to read more about The Consultation). Financing of your surgery can make sense now. Our office has a close relationship with CareCredit (a GE financing program), and we have arranged for INTEREST FREE financing for 6 months. This means that you can take up to 6 months to pay for your procedure, at NO cost to you. Financing terms for 1 year, 2 years, and 5 years are also available, at low interest rates, so if you have been waiting for a "good deal", now is the time. Please call Sheila or Stephanie at the office to answer any financing questions you might have. Walnut Creek is a beautiful city located just across the Bay Bridge from San Francisco. We specialize in state-of-the-art surgery combined with a private setting for our out-of-town patients. Lodging arrangements and airport pickup can be easily made through our office. Bradford T. Prescott Medical Corp.
You may call us directly at (925) 935-9717 for more information or e-mail: (prescotteberlin1@gmail.com) the office to schedule your consultation, or ask any question.